Life is full of challenges, and no one better understands this than those facing the challenges associated with some of society’s debilitating medical conditions. Research is crucial in discovering cures and treatment options to help patients suffering with these conditions, but we can’t do it without you! We are throwing down the gauntlet to our community to challenge yourselves to run, swim, walk or cycle your way to lifesaving medical research. Not keen on doing a big event? No problem! There are many other ways that you can challenge yourself and raise funds at the same time. Give up chocolate, coffee or other guilty pleasure for a month - perhaps you could donate the money you saved back to your fundraising! 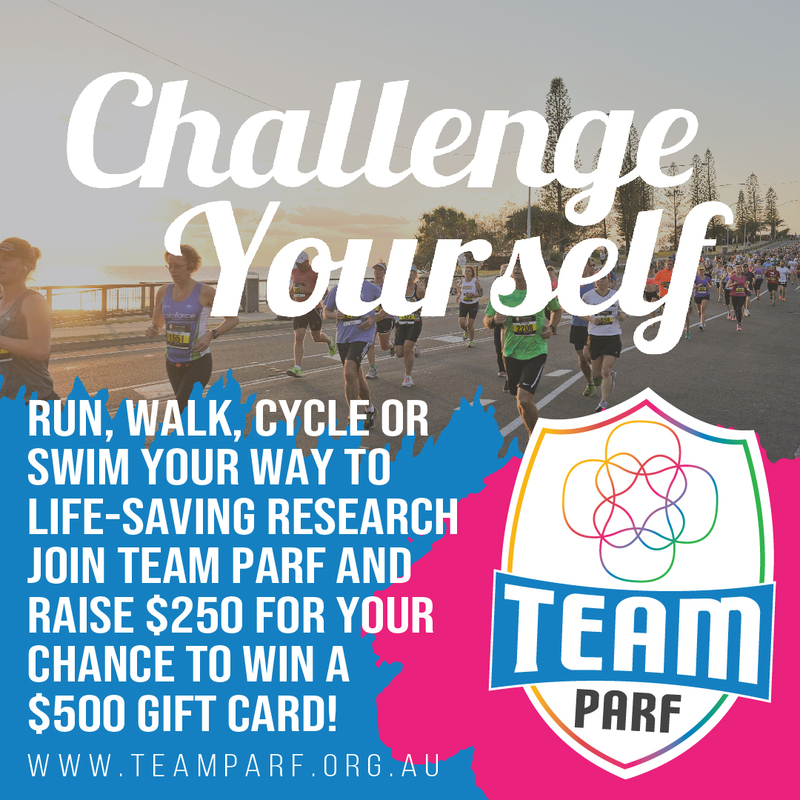 Now is the time to challenge yourself and sign up for an event or initiative while fundraising for Team PARF. Raise money while you compete and make a real difference to medical research, and maybe even someone you know who is affected by one of these conditions.